The Friends of the Porcupine River Watershed is a not for profit (for public benefit) organization founded in November 2014. The main goal of the organization is to offer public support and further enhancement to the Porcupine River Watershed Remedial Action Plan (RAP). These are actions recommended to restore the beneficial uses and to enhance the ecosystem of the Porcupine River Watershed which includes Porcupine River and Porcupine Lake. July 13, 2018 Friends of the Porcupine River Watershed Porcupine Lake Information Group Merging the two groups brings new opportunities for the Porcupine Watershed. 1. to educate, influence, promote and support community based stewardship of natural resources in the Porcupine River Watershed. 2. to provide community based guidance for the good management, enhancement and utilization of healthy, sustainable, aquatic and terrestrial ecosystems. 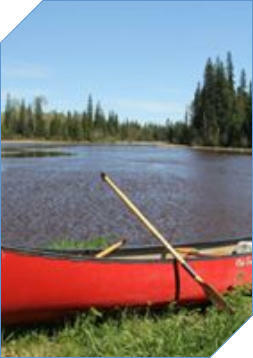 3. to further develop projects of the FPRW: canoe/kayak routes with camping stations along the river, continued spawning bed assessment & re-mediation, nature educational walks to provide knowledge about our local lands, different wildlife, plants & species living in our back yard and bring this into the classrooms of our local schools. 4. to celebrate Earth Day as an annual community event, sharing knowledge with the public. 5. to involve the schools to venture out of the classrooms and into the fields of the Porcupine river Watershed and promote the understanding of our ecosystems. 6. to host Porcupine Lake clean up events twice annually and challenge the community to support regular land and water cleanliness, through competitions with awards and prizes. both school and community based challenges. 7. to provide continued information to the public about the progress on the pumping stations used to repair the flooding and sewage bypass issues in the Porcupine, South Porcupine and surrounding area. 8. to question "what can we do as a community to assist in the clean up of Porcupine Lake and River." 9. to open a public forum for questions and comments surrounding the Porcupine Lake & river, research answers and provide the public with clear correct answers. 10. to provide, positive communication and involvement with the MOECC and PHU and the City of Timmins through the building of a Liaison Committee, allowing for document sharing and public accessible reports.